It’s 2019! Every new year brings changes and goals that we want to accomplish. While you’re making a list of 2019 to-do’s be sure to add updating or planning your estate to the list. 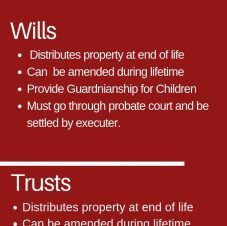 We’ve added a quick graphic that breaks down the basic differences between Wills and trusts, two common ways to plan your estate. Regardless of which you choose both are great options for planning your estate during your lifetime as well as taking care of your loved ones after you’re gone. To learn more about which tool may be right for you call us at Oliver and Cheek to schedule an appointment. For more information or to schedule a consultation, please contact Oliver & Cheek, PLLC by calling (252) 633-1930 or visiting www.olivercheek.com. 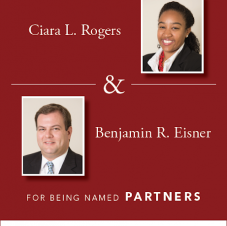 The Law Offices of Oliver & Cheek, PLLC have recently named Benjamin R. Eisner and Ciara L. Rogers as Junior Partners with the firm. Oliver & Cheek, PLLC is a full service business firm providing legal services to large-sized business, professional associations, limited liability companies, partnerships, joint ventures, non-profits, and individuals. “We are honored to have Ben and Ciara as junior partners with the firm. They both have excellent and established reputations in their fields. This will continue to be an asset to not only our firm, but to the people in Eastern North Carolina who benefit from their services,” said George Oliver, Managing Partner. Benjamin R. Eisner received his B.A. degree in American Studies from the University of North Carolina, his MPA from the University of North Carolina School of Government and his J. D. from Campbell University School of Law. He is a member of the NC Bar Association. His focus is on business law, bankruptcy, civil litigation, workouts and alternatives to bankruptcy, and foreclosure defense. He has been with Oliver & Cheek, PLLC since 2010 (?). Ms. Rogers received her B. S. degree in Political Science from Averett University and her J. D. from North Carolina Central University School of Law. She is a member of the North Carolina and Virginia Bar Associations. Her focus is on Debtors’ and Creditors’ Rights, Chapter 11 Bankruptcy and Representing Chapter 11 and 7 Bankruptcy Trustees, General Litigation, and Employment Law. Before joining Oliver & Cheek, Ciara was a law clerk to the Honorable J. Rich Leonard and the Honorable Randy D. Doub of the Eastern District of North Carolina Bankruptcy Court. She also served as a magistrate judge under the Supreme Court of Virginia from 2009 to 2010. Ms. Rogers also interned with the Bankruptcy Administrator of the Eastern District of North Carolina, in 2008. She has been with Oliver & Cheek, PLLC since 2012 (?). Oliver & Cheek, PLLC is a full service business firm providing a wide range of legal services to clients in North Carolina. Major practice areas include bankruptcy; employment law; alternatives to bankruptcy; business law; estate planning and administration; receiverships; commercial real estate; tax planning and controversies; and state and federal civil litigation. Oliver & Cheek, PLLC has offices in New Bern, Greenville, Raleigh, Wilmington, and Wilson, NC. As 2018 comes to an end many of us are thinking about filing and planning our taxes for this year and next. 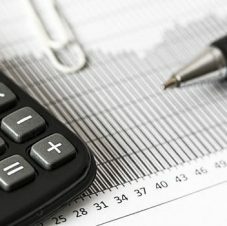 Tax planning can seem like a daunting task, our Attorneys at Oliver & Cheek can help you with understanding and navigating your unique tax situation. We are sharing some of the most common aspects of tax planning to help get you started. For more information or to schedule a consultation, please contact Oliver & Cheek, PLLC by calling (252) 633-1930 or visiting www.olivercheek.com. Tax planning is assessing what your tax liabilities will be and creating a way to help reduce those liabilities. For example one of the most common ways to help reduce taxes is to invest in an IRA (independent retirement account). Investments made in an IRA are tax free until they are removed from the account. By contributing to an IRA you are deducting that contribution from your overall taxable income. Potentially putting yourself in a lower tax bracket, along with saving money for the future. With the right tax planning methods you can increase the future value of your portfolios. 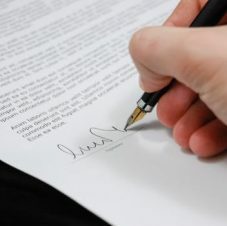 To get started schedule a consultation with Oliver & Cheek, PLLC. Our team of attorneys are well versed in all areas of state and federal tax law. The attorneys at Oliver & Cheek, PLLC possess outstanding advocacy skills and a wealth of knowledge and experience in all areas of state and federal tax law. 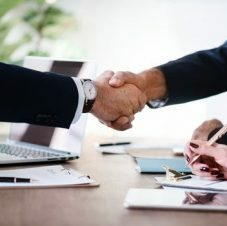 If you’re planning for future needs, facing a tax challenge, or buying or selling real estate, we will partner with you to navigate and resolve even the most strenuous tax issues.